This object is Fairchild ephemera. It is a snowman figure with a magnet on the back. 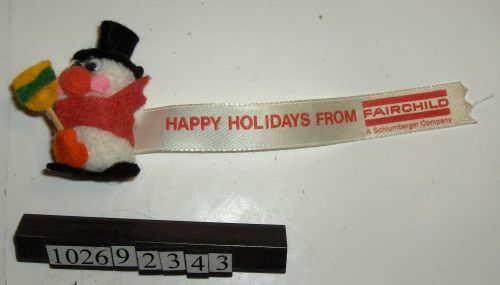 The tag on the figure reads: "HAPPY HOLIDAYS FROM FAIRCHILD A Schlumberger Company".